I'm not sure what it is, but blue seems to be my go to color at the moment. What color do you crave? Blue is a great color on you too! :) Your shoes are very pretty! 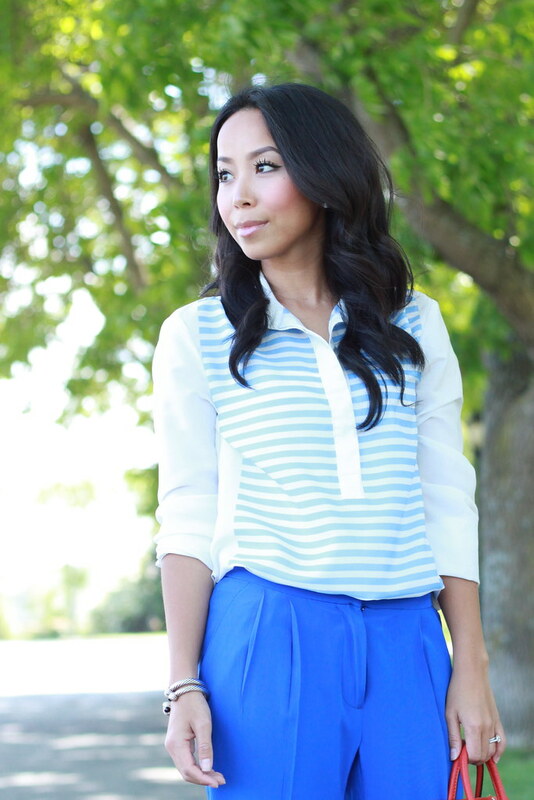 Your style choices are so classy and put together, Khatu! 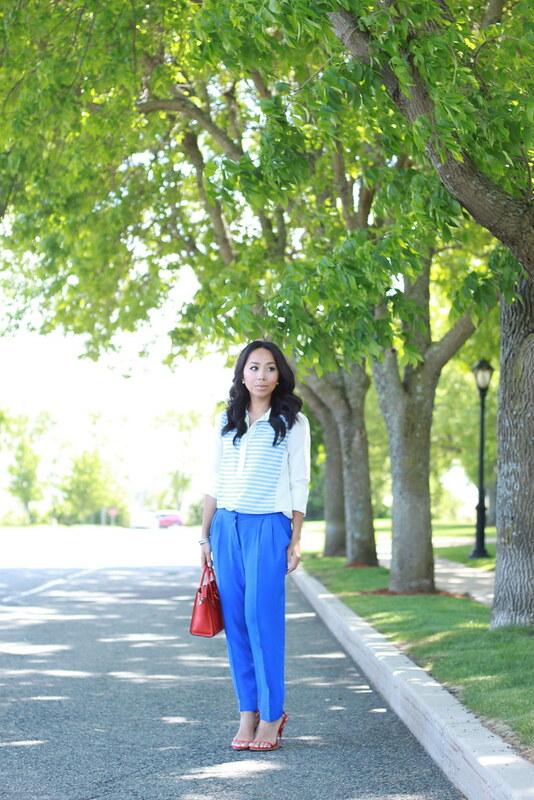 I love when blues and reds are paired together!